TravelStay.com is the worlds biggest source of inexpensive visitor accommodation for London, with exclusive deals and prices form only £15.00 per person! We are dedicated to finding the very best deal for every customer, including tourists on a budget, those visiting London for study or work, single travelers, couples and groups of all sizes. Our customers can choose from a range of over 38,000 accommodations across the UK and over 192,000 accommodations worldwide! Since 2001 we've been working with the best hoteliers to provide affordable accommodation to millions of satisfied customers. Growing through world of mouth and recommended on MoneySavingsExpert and Channel 5's 'It Pays To Save'! As a member of BITOA, TTI and BETA, you can rest assured your trip is in safe hands. Gain peace of mind thanks to our fast online service, reservation guarantees and our 24 hour, UK-based, friendly customer service. The average cost of a double or twin room in London through TravelStay is only £28.00 per person per night! The average across a range of other high profile websites is £46.00 per person per night. TravelStay customers save over £54.00 per booking by booking on TravelStay.com! London we offer a choice of more than 14 types of accommodation, ranging from hotels, BnBs, studios and apartments to hostels, university halls, self catering accommodation and flat shares. We specialise in London so we have a cheap option near every major district of London! No booking fee, lowest possible prices guaranteed, exclusive extra discounts, and simply pay a small deposit to book! Exclusive discounts for long stays and students: up to 30% off! Exclusive listings: we have properties voted best value in London! "They have some amazing deals that I havent found elsewhere on the net, like Barkston Budget Rooms, and their prices are generally cheaper than Ive seen on other websites." "On TravelStay you can compare the price of a double room (or whatever room type you want to book) across all hotels in one go!" 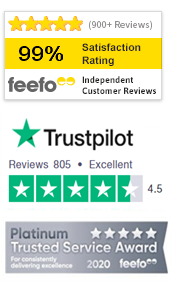 "I always check the reviews, they have loads and some are very revealing! But at least you know what to expect and you can still find lots of cheap hotels with ok reviews." "I dont have to worry about being on hold for ages ...they only take calls in the UK, they answer pretty fast and they are there 24x7." "I first booked with them in 2002! They still focus on cheap deals in London, but their website has got much better recently." TravelStay.com has a huge range of cheap London hotels and cheap London bed and breakfasts from just £10.29! Not only can you stay for less with TravelStay.com, you can also trust TravelStay! Since 2001 we’ve provided affordable accommodation to millions of satisfied customers. Read about their positive experiences in our TravelStay Review Centre. TravelStay is operated by TravelStay Network.